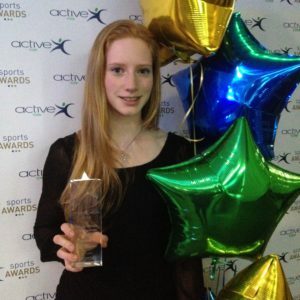 Lucy Edmunds Named Young Sportswoman of the Year – Again!. Lucy Edmunds Named Young Sportswoman of the Year – Again! York City junior Lucy Edmunds has been named as the city’s Young Sportswoman of the Year at the Active York Sports Awards – for the second year running! She was nominated for the award by the club after having a very successful 2017, when she was selected to represent Great Britain three times and came second in the final of the senior double sculls at Henley Women’s Regatta. She competed at the Munich International Regatta, finishing fourth in the final of the women’s quad, and won the ‘B’ final in the double sculls. She then represented GB two weeks later at the European Rowing Junior Championships in Krefeld, Germany, coming sixth in the final of the double sculls. 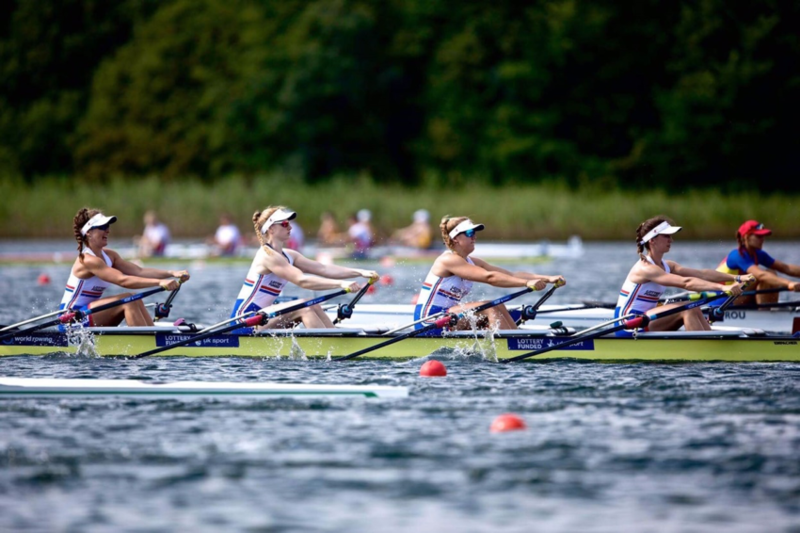 Lucy then narrowly missed out on a Bronze medal, finishing fourth in the final of the women’s quad at the World Rowing Junior Championships in Lithuania. The 2018 award is not Lucy’s first – she was named Active York’s Young Sportswoman of the Year 2017 after she was selected for the GB team to compete at the Coupe de la Jeunesse in Poznan, Poland, in July 2016, where she went on to win a silver medal with the girls’ quad. Later that year she also won the Club Shield in the women’s double sculls at the British Rowing Senior National Championships in Nottingham, rowing with Georgie Brayshaw, then of Leeds Rowing Club, and who she rowed with at the Henley Women’s Regatta. In recognition of her outstanding achievements and overall contribution to the club Lucy was awarded Honorary Life Membership of YCRC at our annual dinner last November. Well done Lucy! The York Press’s coverage of the event can be found here. Lucy at the Active York Sport Awards 2017. Photo: S. Edmunds.